As has already been pointed out in other blogs, bicycle theft is a real problem (in Italy as in other European countries) and people who own a bicycle often ask which method would be the most effective to keep one’s bicycle safe when it is not being used. 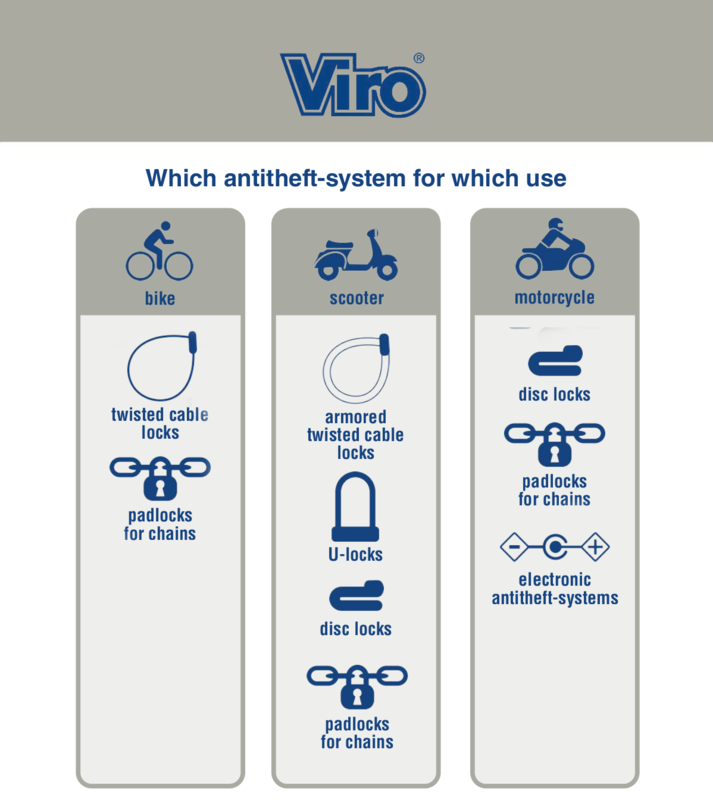 So why would preference be given to a padlock and chain rather than a U-lock? As can be seen, the U-lock was recommended mainly for scooters. 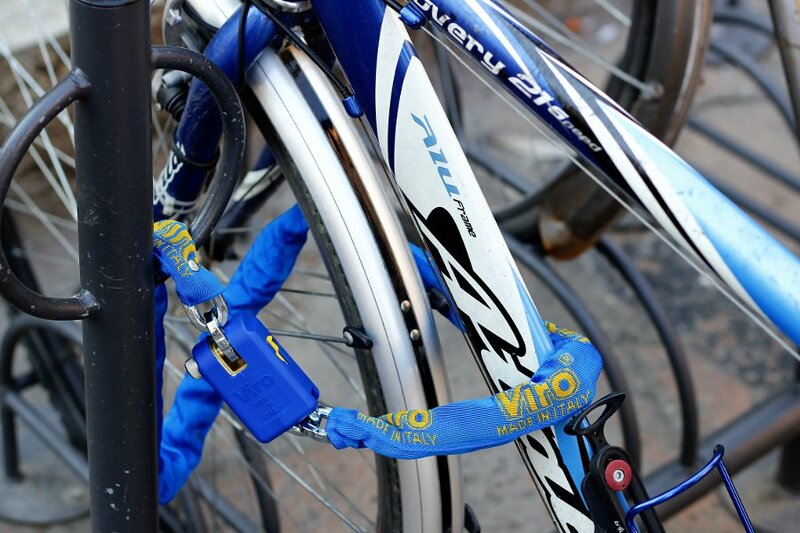 We also mentioned that there is nothing stopping you from protecting your bicycle with a U-lock, or with both a U-lock and a padlock and chain, using them simultaneously! 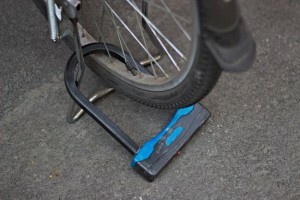 The U-lock has, however, a weak point: the ease with which the shackle can be ripped from the body due to the large space which remains free between the two parts in the application on bicycles (unlike on scooters), and which may be exploited by thieves for the introduction of levers. However, if you are undecided between a U-lock or padlock and chain it is useful remembering some pros and cons of both the security systems. 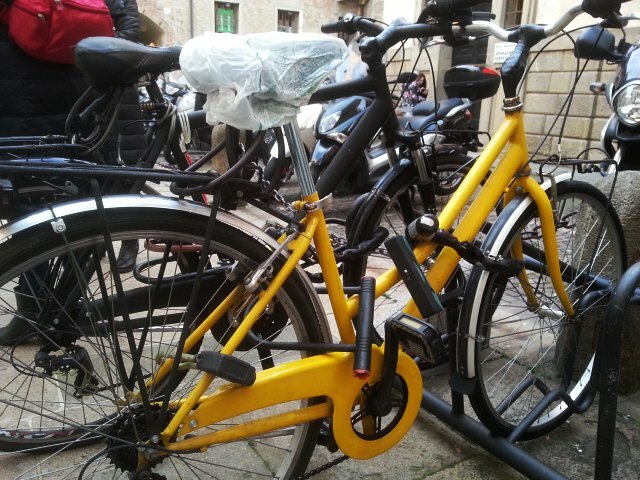 U-LOCK: it is very practical. Compared to a padlock and chain it can be easier to handle and transport, since, when it is closed, it is a single item. In addition, they are very easy to carry, for example, inside a bag, as they are flat and need not be coiled, which is the case for chains. Another advantage of the U-lock is the large cross section of the shackle, which makes it particularly resistant to cutting with snips or shears, providing the shackle is made with adequate materials (tempered steel). The U-lock has, however, a weak point: the ease with which the shackle can be ripped from the body. CHAIN: ? ?it is slightly less practical. Particularly in terms of size and weight, when it has to be transported by bicycle. However, as we have seen in the blog comparing products, even the chain can be very durable, if it is made of good quality materials. For both U-locks and chains the resistance to cutting also depends on how they are used; the general recommendation is that they should not be allowed to touch the ground. Otherwise it is much easier to cut them with shears, because one arm of the shears can be rested on the ground and one’s full weight then placed on the other. The substantial difference in terms of security between the two solutions concerns the possibility of securing the bicycle to a fixed point. U-LOCK: with the U-lock it is particularly difficult to secure the bicycle to a fixed point due to the rigidity and limited length of the device. Also, again for the same reasons, it is complicated to secure together several parts of the bicycle. CHAIN: the padlock and chain, on the other hand, allows you to easily secure the bicycle to a fixed point (pole, railings, rack, etc.) and above all, thanks to its length and flexibility, it allows you to secure together various parts of the bike (usually wheels and frame) to a fixed point. To conclude, it may be said that, in terms of safety, the padlock and chain is better suited, compared with the U-lock, to protect your bike which, since it is much lighter than motorcycles and scooters, suffers in particular from the risk of being physically lifted from the ground and taken away. However, nothing is stopping you from using both.